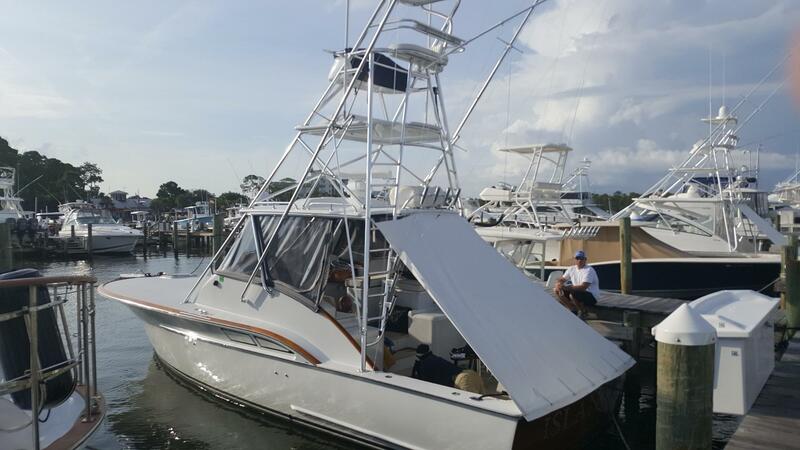 2006 Miller Marine 36 Express "ISLANDER"
2006 MILLER MARINE 36’ EXPRESS ISLANDER is a premium branded custom fiberglass build from Panama City, Fl. 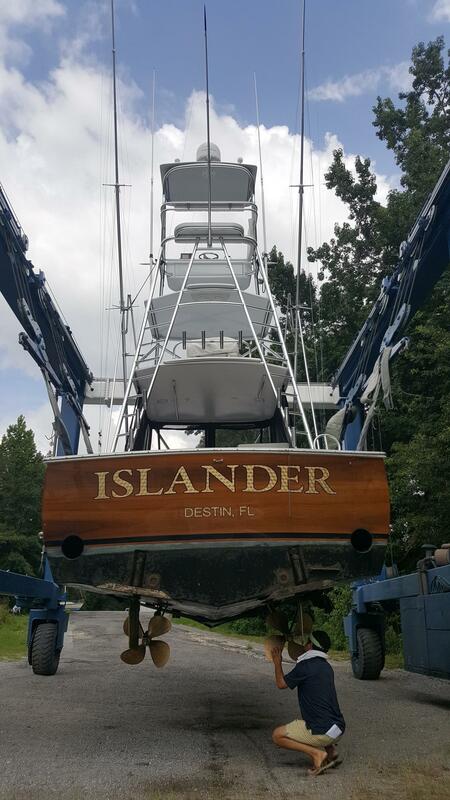 ISLANDER’S gorgeous lines turn heads everywhere she goes and she runs as good as she looks. 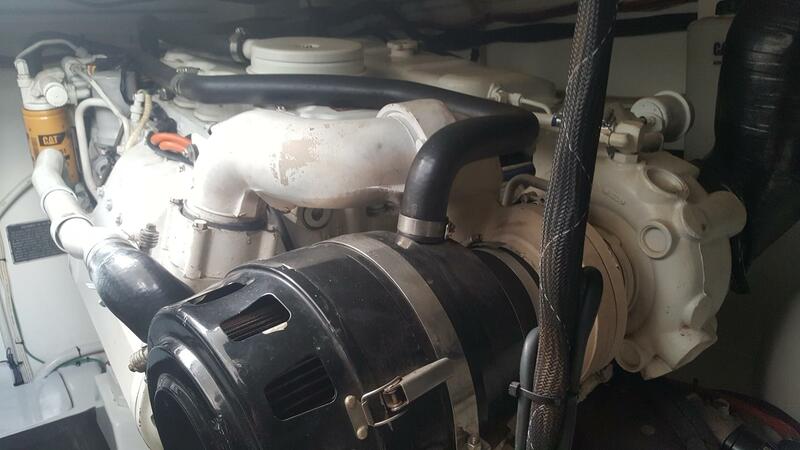 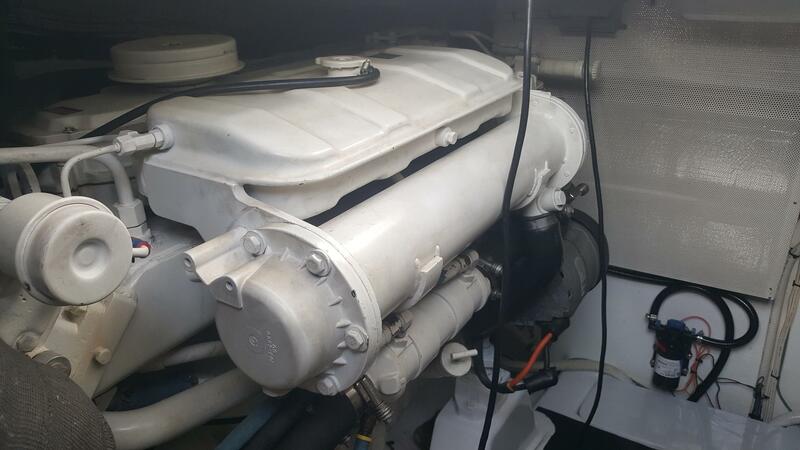 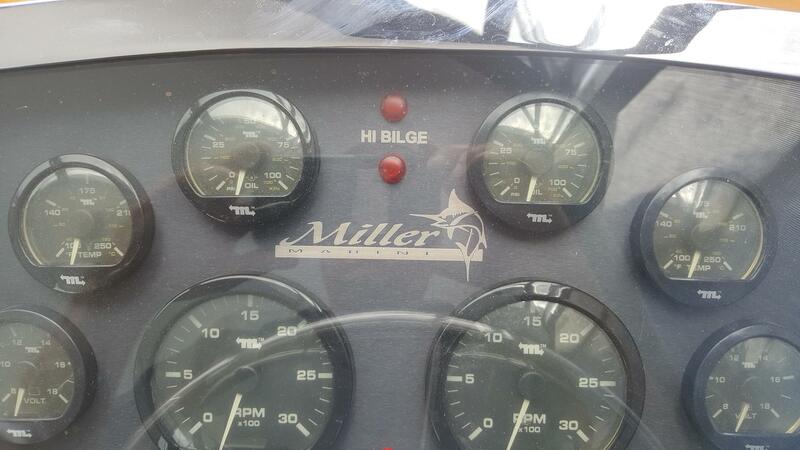 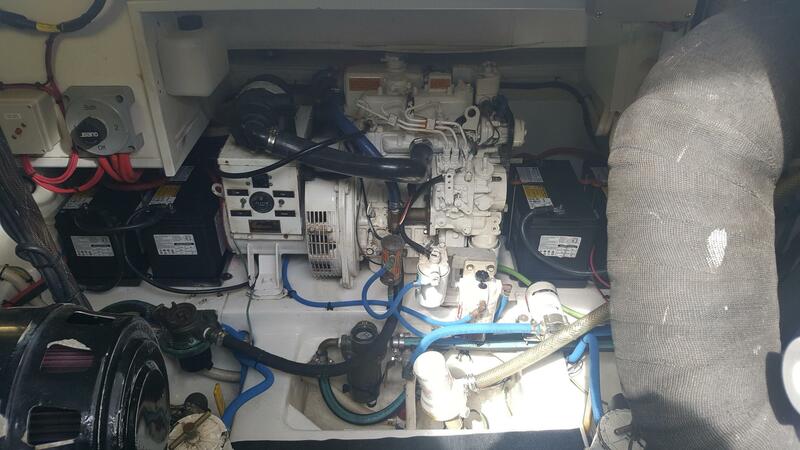 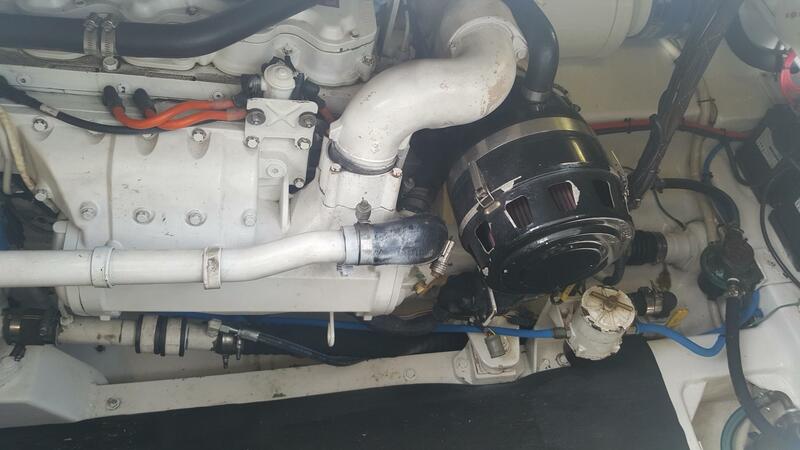 With 3126 model CAT power, this 2006 MILLER MARINE 36’ EXPRESS delivers great speed and fuel efficiency. 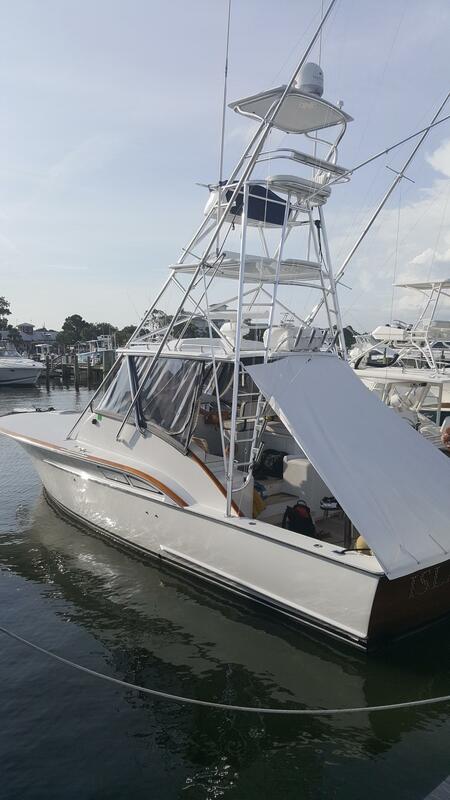 Don’t underestimate ISLANDER based on size, as she is more than capable of keeping up with boats much larger than she, and has done so fishing the gulf coast and east coast Florida. 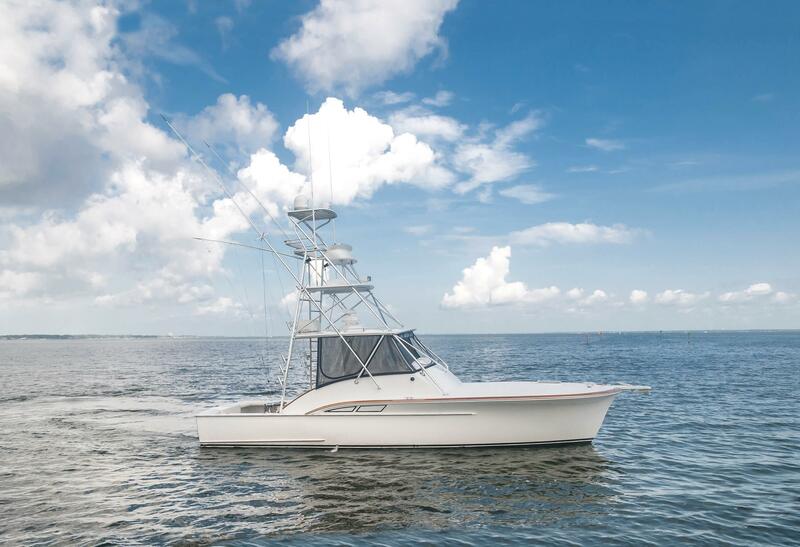 Whether you are tournament fishing or fishing family style, ISLANDER is a MARINE MILLER EXPRESS set up and laid out to be versatile. 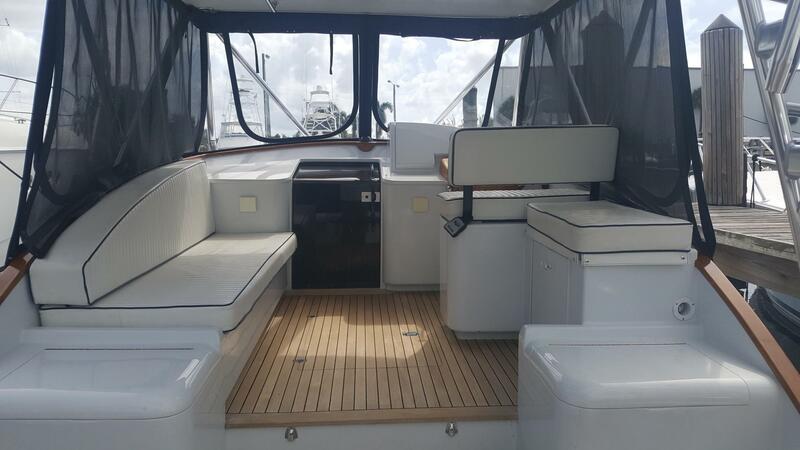 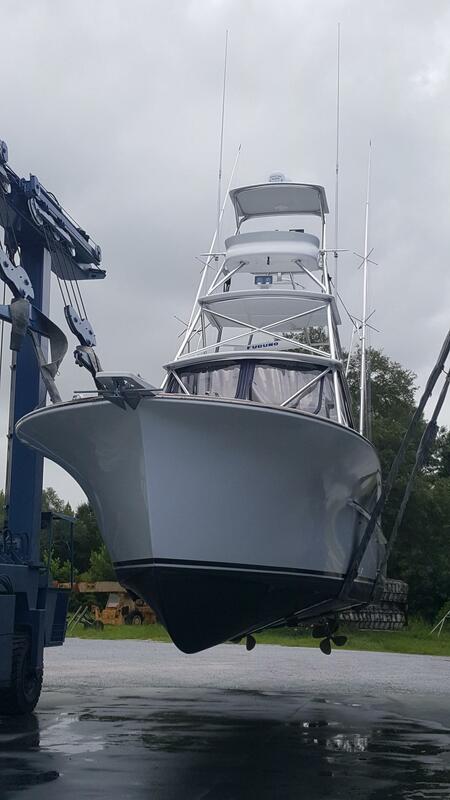 She has been professionally maintained to the highest level and offers a ton of value in the under 40’ custom 2006 MILLER MARINE 36’ express boat market. 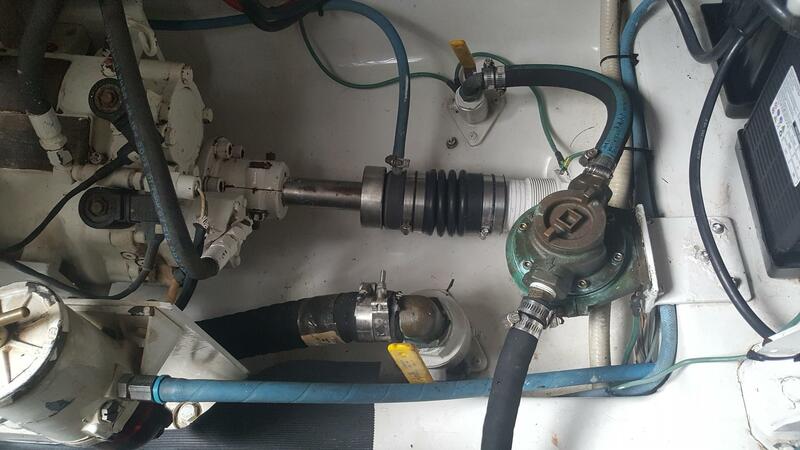 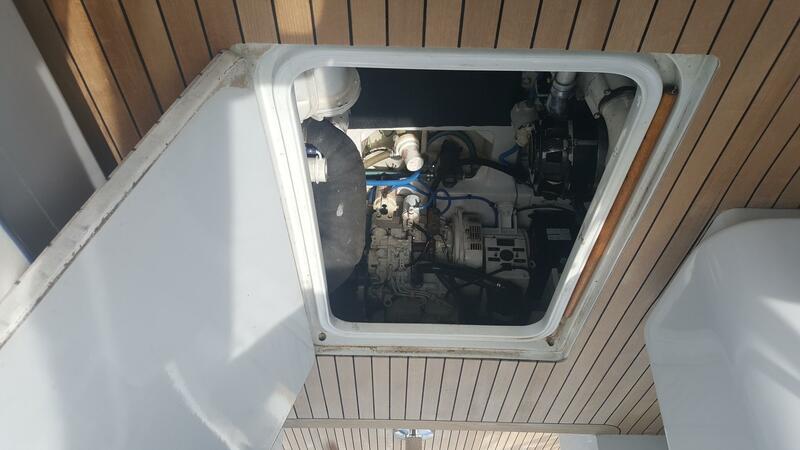 Below please find some EXPRESS ISLANDER's features and highlights followed by a vessel walkthrough. 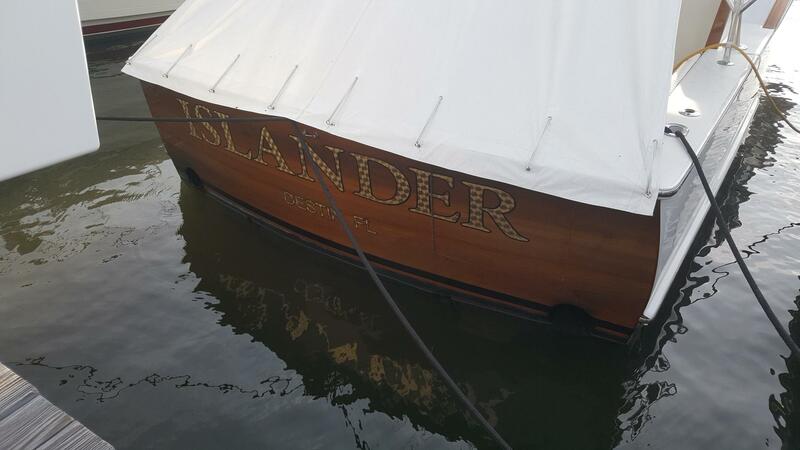 The cockpit of Islander is all business! 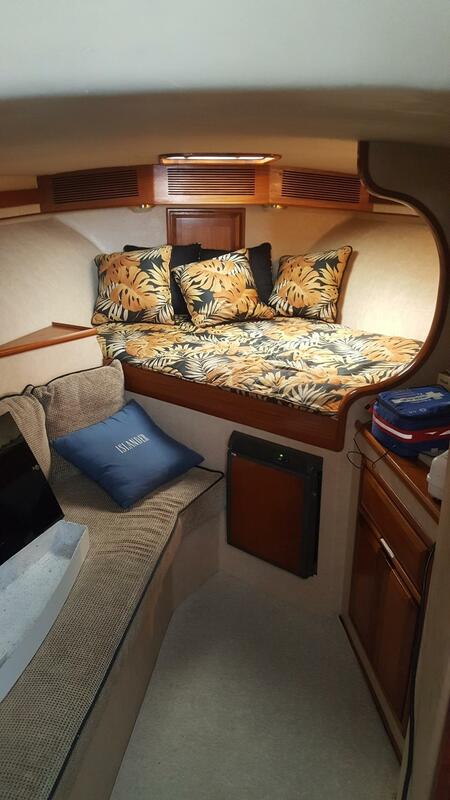 Nicely laid out and spacious enough to accommodate a variety of fishing styles. 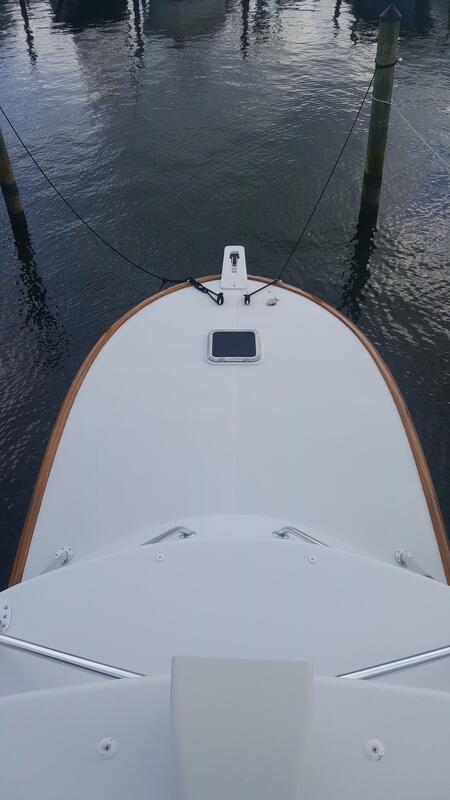 Three steps up from the cockpit brings you to the helm deck. 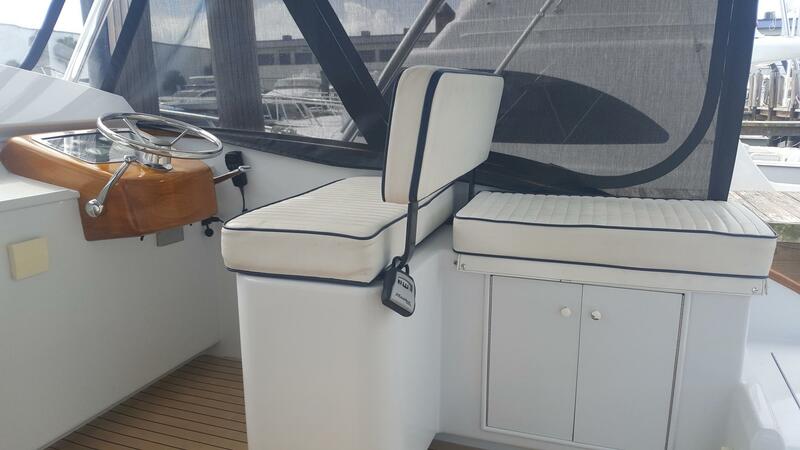 To port there is a longitudinal bench seat with cushions on top and storage beneath. 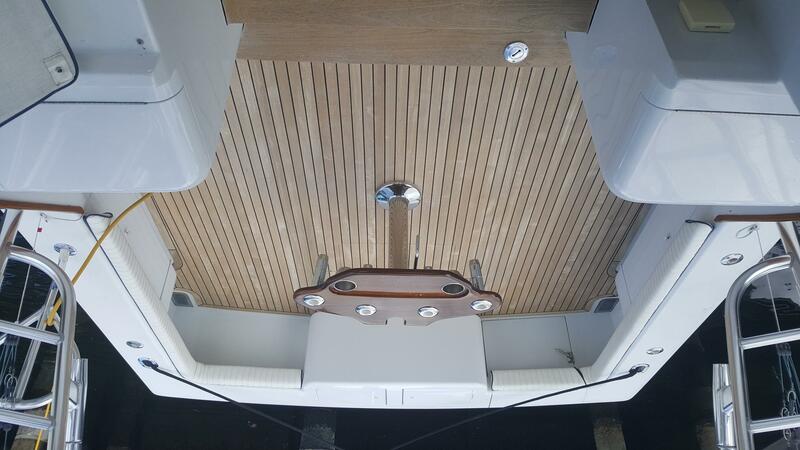 On the starboard helm deck there is a tackle storage locker with seating cushion above. 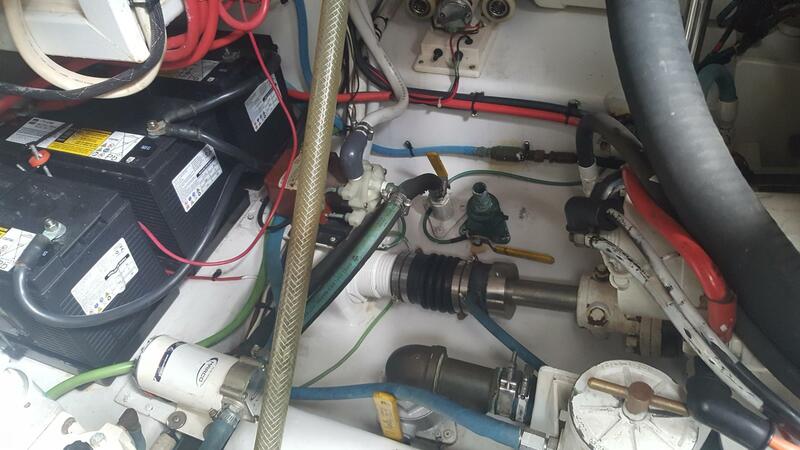 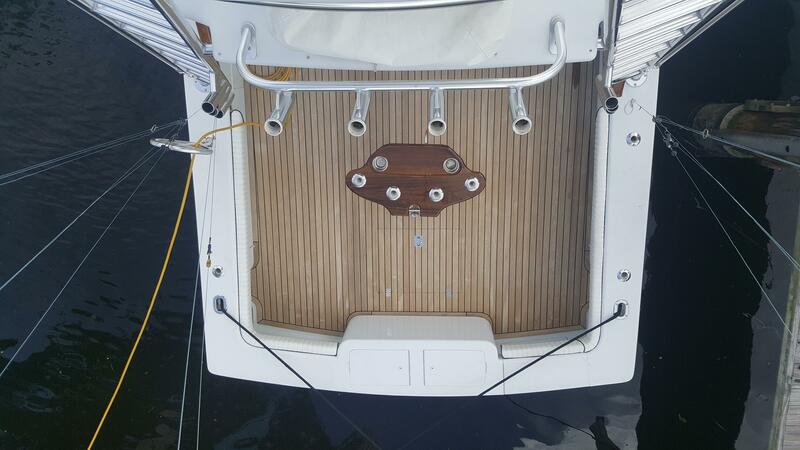 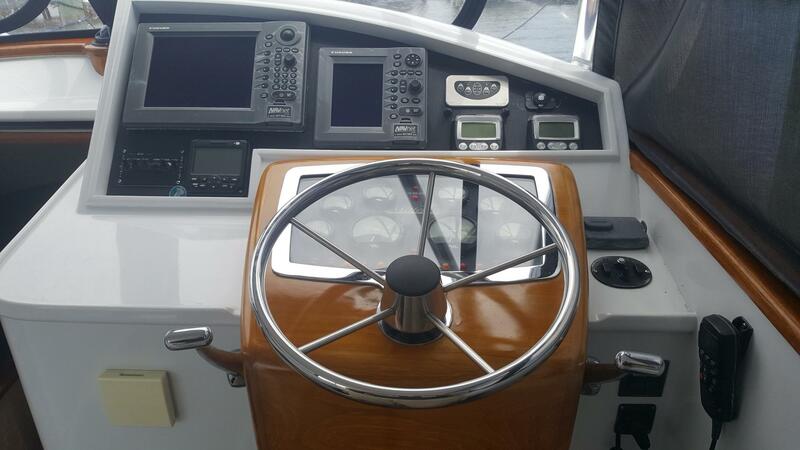 The helm station is offset to starboard and features a teak helm pod with Palm Beach style single lever controls. 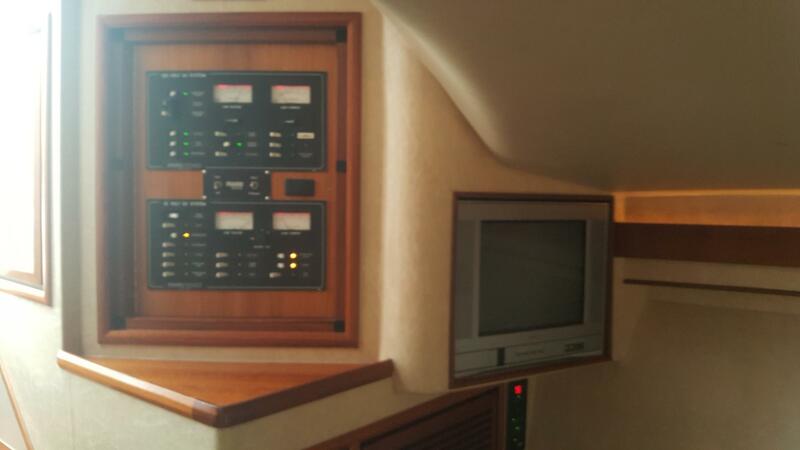 She has a Furuno Nav Net VX2 chartplotter with radar functions as well. 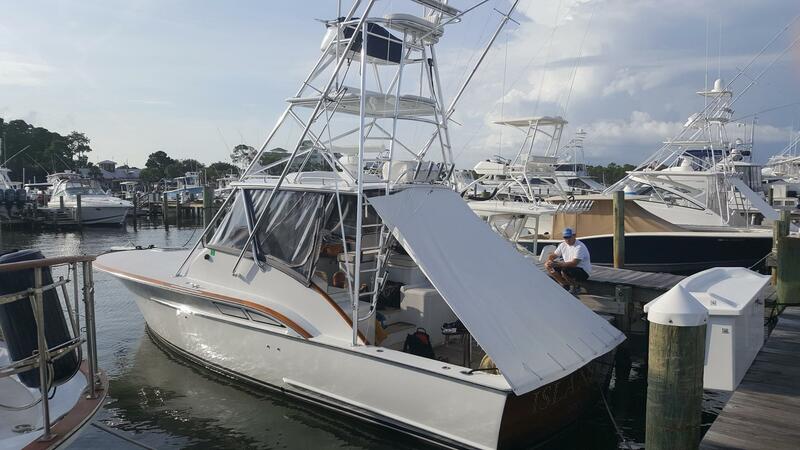 Additional electronics include a Furuno fish finder/depth sounder, Updated Simrad Auto pilot, CAT electronic RPM gauges, and ACR spotlight controls. 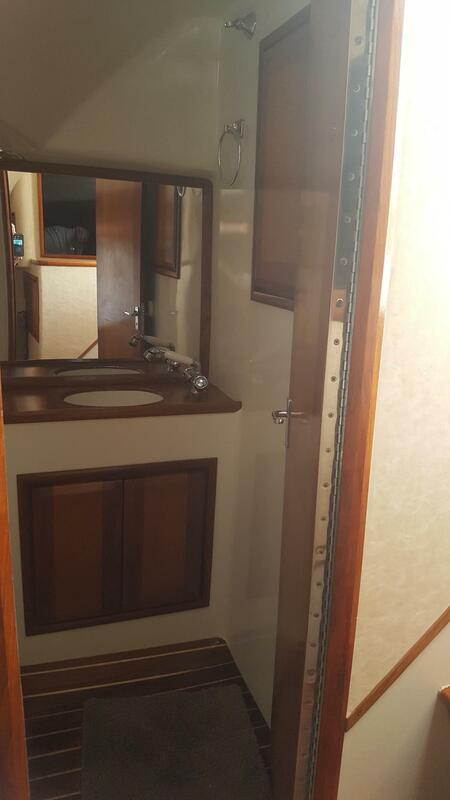 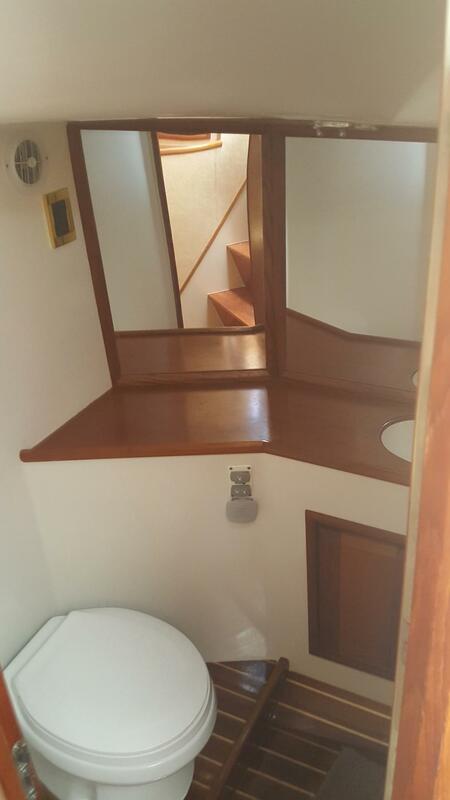 The lower accommodations access is centerline on the helm deck with a descending staircase. 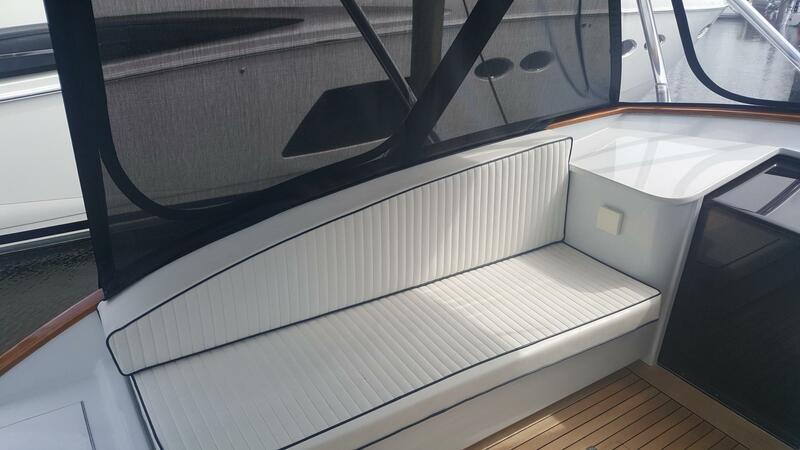 Below to port is a comfortable upholstered sofa. 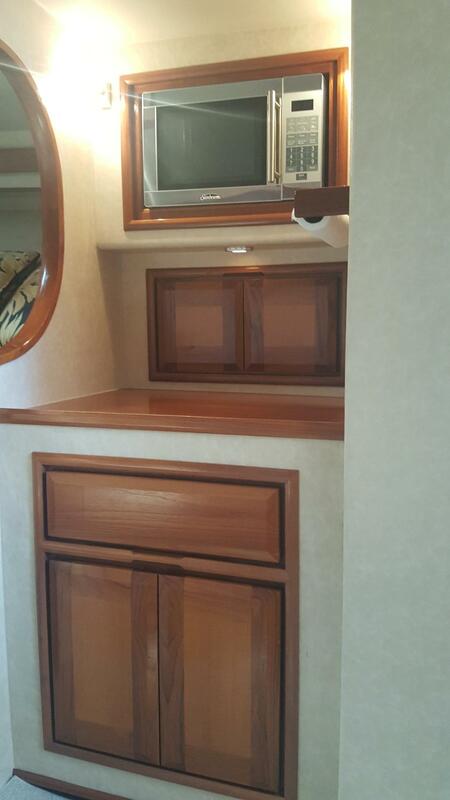 Across from the sofa starboard aft is a full head and directly across from the sofa is a convenient galley with storage. 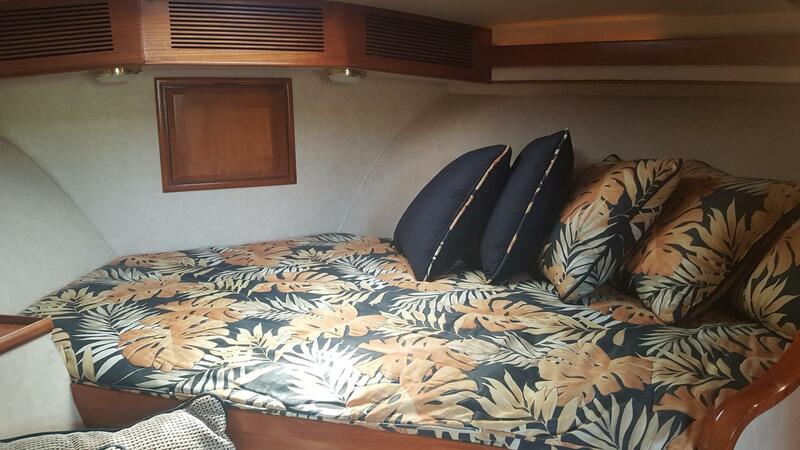 Forward in the open arrangement is a nice size sleeping berth angled off center.